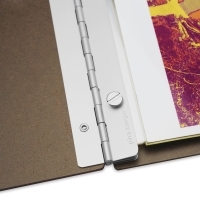 Pina Zangaro Tera Screwpost Binders offer a slightly retro look while being highly functional and very contemporary. 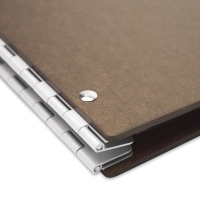 Made of 1/8" thick pressed hardboard panels with riveted aluminum hinges, these books will stand the test of time. 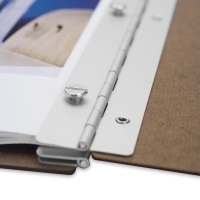 Expand the binder's capacity with standard screwpost extensions (sold separately). The Tera lies flat when open. 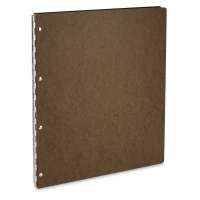 Tera Screwpost Binders include 20 Pro-Archive Sheet Protectors. 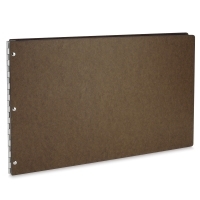 Made in the USA of inert, unplasticized, chemically stable 0.0045 polypropylene, these archival-quality, heat-resistant sheet protectors have a non-stick finish that prevents them from adhering to your artwork. They are PAT (Photographic Activity Test) approved and Library of Congress approved. 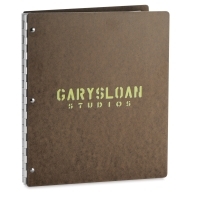 To present your work in an even more dramatic way, choose custom imprinting. 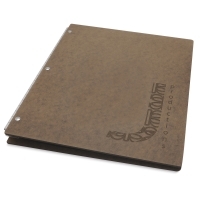 Available in two formats, Color Imprinting and Laser Etching, custom imprinting emblazons your logo, your name, or any other art you choose on the cover. 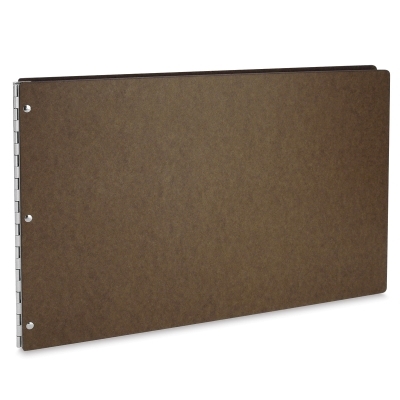 Note — Custom imprinted binders do not include Pro-Archive Sheet Protectors (which can be purchased separately). Cancellation and Return Policy — Orders for customized items cannot be cancelled. Once placed, your order cannot be returned except when due to a defect. For custom imprinting orders, your art must be emailed directly to Pina Zangaro at imprinting@pinazangaro.com. DO NOT mail your artwork to Blick Art Materials. 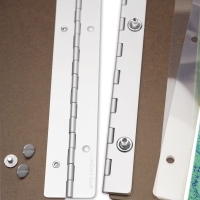 Imprinting is only available for screwpost binders purchased online.